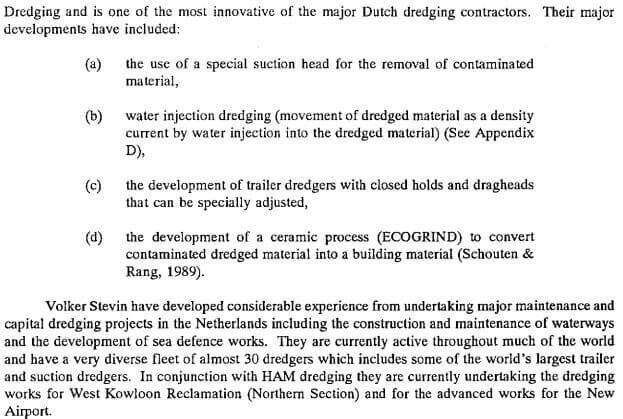 HF: Our article, Dredging Marine Sand – Container Terminal 6, 1987, says that the dredging for that particular project was done by the Dutch company Hollandsche Aanneming Maatschappij, better known as HAM. 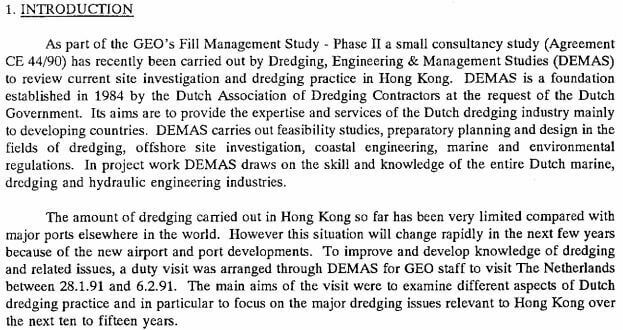 HAM turns up again in the report Review of Dredging Practice in the Netherlands written by ST Gilbert and PWT To and published by the Geotechnical Engineering Office, Civil Engineering Department, Hong Kong, in September 1992. I have concentrated on the Dutch and Belgian contractors mentioned and highlighted each one’s participation in Hong Kong projects. 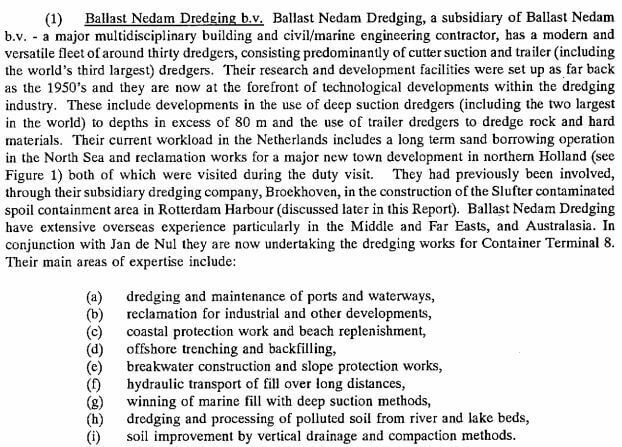 Ballast Nedam Dredging b.v. Dredging works for Container Terminal 8. 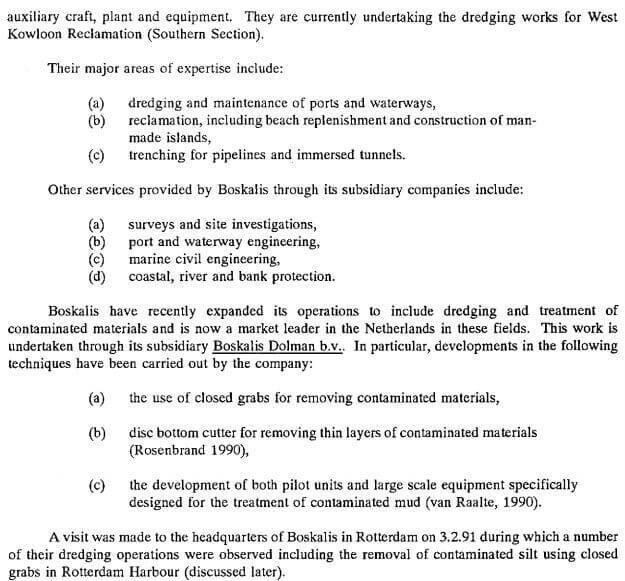 Boskalis International b.v. Dredging works for West Kowloon Reclamation (Southern Section). Van Oord Group. Dredging works for the Third Industrial Estate in Tseung Kwan O New Town Development. 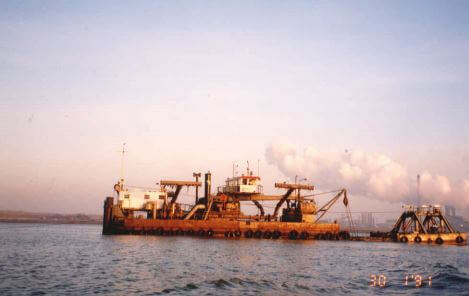 Volker Stevin Dredging. 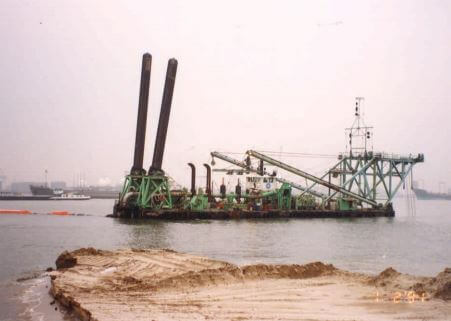 Dredging works for West Kowloon Reclamation (Northern Section) and for the advanced works for the New Airport.